Are you a party freak animal who’s more about drink, dance and partying? Let’s unleash your dashing attitude at Notting Hill Carnival 2015 which brings the streets of west London on every August Bank Holiday Weekend. It’s eminent as the largest street festival of Europe for many reasons & attracting more revelers than ever. 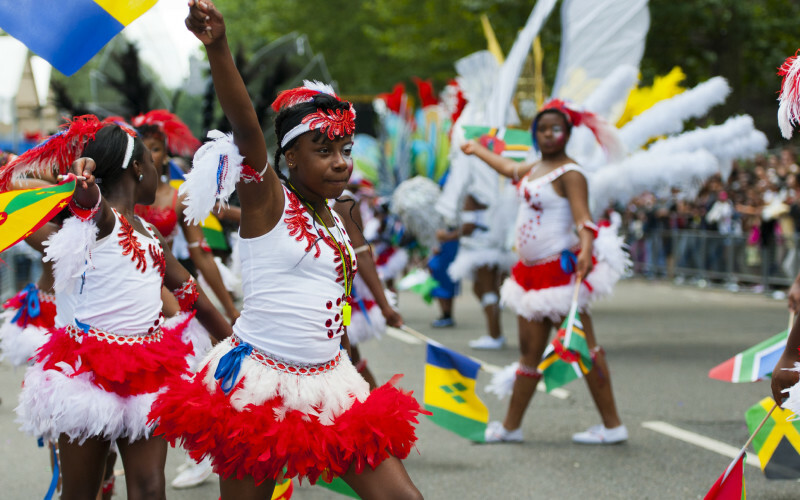 Notting Hill Carnival offers its guests with bountiful fun filled and enjoyable activities including the stirring steel bands; alluring food stalls that offer lip-smacking cuisines and calypso music. With no bar for any specified guests, the Caribbean festival is open to all. From the oodles of custom performers to the marine of color as marvellous drifts, everyone twist their marks through the London’s streets. No matter whether you want to get into the party or just want join as the spectator to see the crowds going by, you’ve all the ways to becoming this finest annual event of London which is almost here. Originated in early 60’s in 1964, the carnival is claimed to be the largest street festival, which is celebrated among the communities of Afro-Caribbean in the form of carnival of their beautiful traditions and cultures. In the London’s street W11, Every year, the carnival takes place during the August Bank Holiday Weekend and brings up the gamut of mesmerizing sounds, vibrant sights and communal camaraderie. The new aged party was earlier celebrated as the Caribbean carnivals in the 19th century as the key folklore in Trinidad which is all about commemorating the obliteration of tradition of the slavery. The biggest and largest street party of Britain will be starting from Aug 30th-31st 2015. The first day on 30th August will kick off with the Jouvert as the plentiful carnival activities. Let’s just be prepared to get a bit dirty, try out the vibrant funny or canivalesque outfit or turn adventurous. Jouvert gives a golden opportunity to all the music lovers to jive along with the steel bands and the outstanding African Drums. It will start from 6am to 9am and will be winding up at the Ladbroke Grove W14, right next to the SainBury’s Car Park on Canal Way. And then there would be the Children Day celebration with the cheerful parade of children. Joining this grand gala, you can experience the numbers of mind bubbling dance, music and art performances. Afterwards, the final day of 31st August will be having the great Monday parade along with the Grand Finale.